Women have a greater probability of developing Alzheimer's than men. Making certain diet changes could help keep the brain healthy. Plenty of patients still come to me after they have developed a disease, but the majority of people are now coming beforehand — so they don't develop one. Women, especially, are focusing on the brain. After all, what's the point in making sure you don't get heart disease or cancer if your brain is no longer working as it once did? With June marking Alzheimer's and Brain Awareness Month, the American Alzheimer's Association predicts the prevalence of Alzheimer's could triple by 2050. It currently impacts about 5.7 million Americans and remains the sixth leading cause of death, killing more people each year than breast cancer and prostrate cancer combined. If you are a woman, you have a greater probability of developing Alzheimer's than a man. The reason why may lie in part to a hormone that has a huge impact on a woman's health: estrogen. It protects the body from many diseases, and when stores of it dip — as they do when a woman enters menopause — our organs, including our brain, may act against us. Despite this knowledge, the debate over hormone replacement therapy (HRT) and all of its pros and cons rages on. Is it the only way to protect our mind and memory, or can diet play a role? Several studies indicate supplemental estrogen may in fact protect the brain from adverse changes associated with dementia and Alzheimer's disease. A 2017 study in the journal Neurology found women who began HRT at the beginning of menopause had a decreased risk of Alzheimer's a decade later. Other studies indicate women on HRT have better working memory and lower early mortality. Futher, studies show postmenopausal women who take estrogen have a better brain structure and lower risk of dementia. The argument for embracing HRT to protect your brain is a compelling one, but it's just the beginning. Other lifestyle factors (and genetics) play a strong role as well. The key is to consume these foods in their whole form as opposed to something made in a food factory. That means your protein bar with soy isolates or that corn chip with flaxseeds in it doesn't count. A 2017 study found whole soy sources could help to reduce the risk of death in women with certain breast cancers and could also help avoid brain alterations associated with Alzheimer's disease. Like HRT, though, even these foods may be problematic for some women with certain types of breast cancer and can still be a controversial approach to improving brain health. Whether you take the HRT route or choose a more natural option, your overall dietary and lifestyle factors are perhaps the most powerful component to protecting your brain. That's because the typical Western diet, complete with plenty of red meat (including processed options like bacon, sausage and hot dogs), sugar, stripped grains, ultra processed "food like" items and the accompanying couch potato lifestyle may play a much larger role in predicting your chances of developing dementia and Alzheimer's. In addition to following the Mediterranean-DASH approach, adding in extra blueberries and a regular exercise routine will also go a long way. 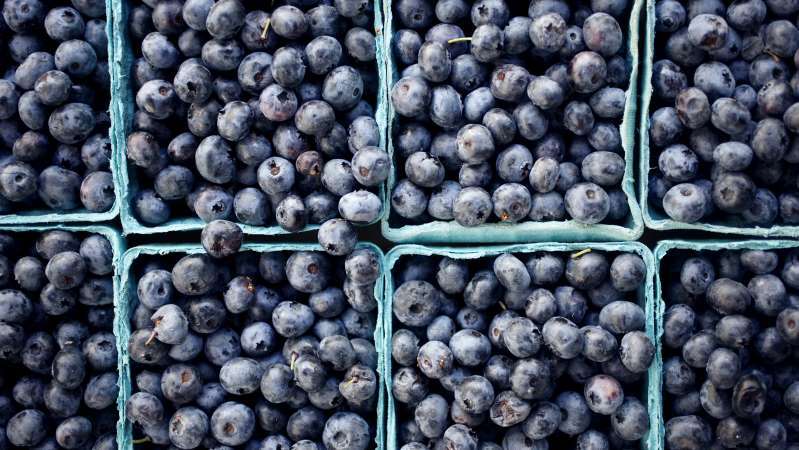 Anthocyanins in blueberries have been found to help delay cognitive decline and improve overall brain function. When you're done downing your blueberries, lace up your tennis shoes. A 2018 study in the Journal of Alzheimer's Disease found the lack of exercise sped up the deterioration of important nerve fibers in the brain, which resulted in weaker white matter and lower brain function. The mystery continues over why some people get Alzheimer's and others don't. But we do know this: it's impacting women at an alarming rate and diet plays a role. Discussing your options with your physician is the first step, but in the meantime, cleaning up your diet, and moving more will surely have a positive impact.